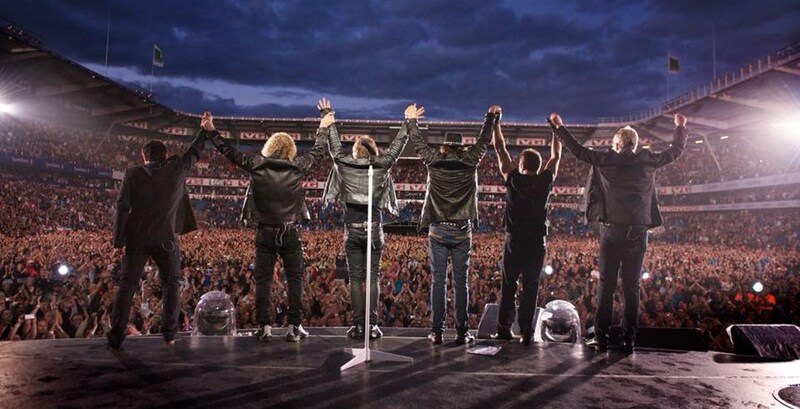 Bon Jovi has rescheduled its performance dates for Montreal, which were slotted to take place on Wednesday, April 4 and Thursday, April 5 at the Bell Centre. Organizers have promised that tickets to the concert will be honoured at a future date and the concert has since been moved to the month of May. Ticket holders to the Wednesday, April 4 concert will be able to use their tickets on Thursday, May 17; holders of tickets to the Thursday, April 5 concert will be able to honour theirs on Friday, May 18. There is still no word on whether the band has cancelled any upcoming performances other than their Montreal appearances.